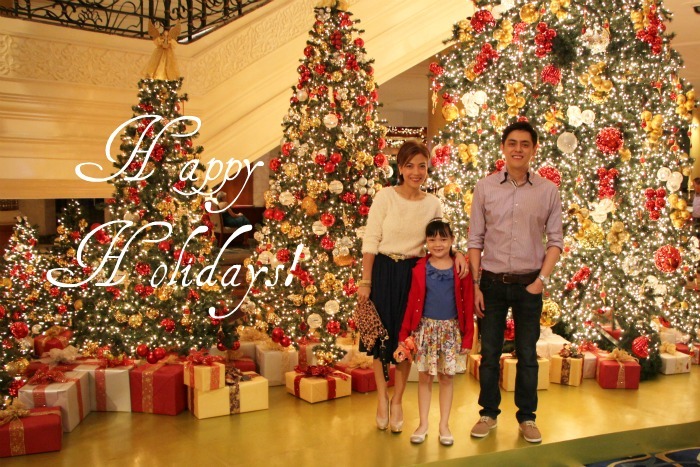 First off, I'd like to greet everyone a very, merry Christmas! Hope you all were able to spend it with your loved ones. This year has been major hectic, not just for me I think, but for everyone. 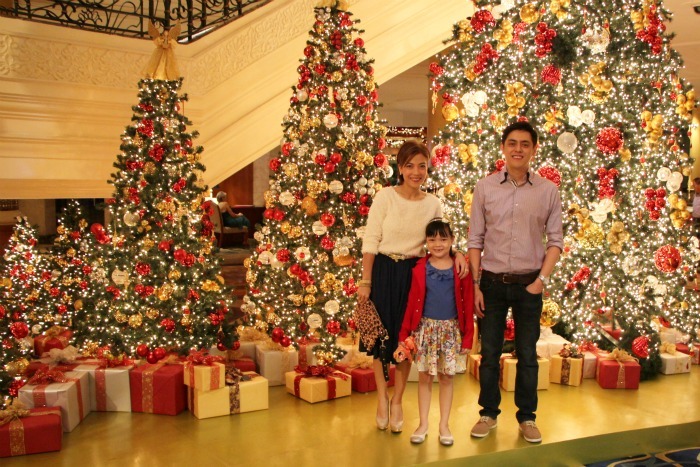 Seems like there wasn't enough time to prepare for Christmas as much as the past years which is probably why we spent our Christmas dinner and mass at Makati Shangri-la. If you ask me, most of the Manila population had the same idea because the place was packed. If not for the opulent interiors you'd think you were in the middle of Megamall on a Sunday. But it was nice to see a lot of smiling faces all around. Makes you feel a lot more Christmas-sy especially with the beautifully decorated Christmas trees, Angels and Santa Claus milling about. I have been so busy these past few weeks buying last minute Christmas presents and shopping for outfits for Dennis and Nikola that I forgot to pick something out for myself. I had to make do with what I had in my closet. I didn't really feel like doing the traditional red dress Christmas route so I kinda went for a "winter wonderland-ish" outfit instead. Sorry if the photos are kinda yellowish, I guess the lighting inside was really warm. Merry Christmas again! Thanks for putting up with me through all these years. Here's a big wet sloppy virtual kiss for all of you...mmmmmmmmmmmmmmmmwwwwwwwwaaaaaaaaahhhhhhhhh! You guys are a beautiful bunch! Merry Christmas to you, Nikola and Dennis. You look grand as always. Ang fasyown lang ng entire family mo. Love it! Merry Christmas babe! Merry merry Christmas from your Ninang Anagon ;) HEheheheehe :) Cute niyo!